Welcome to the Engineering System Design Lab at the Univeristy of Illinois at Urbana-Champaign, directed by Professor James Allison. Our mission is to play a leading role in the transformation of engineering system design. Please visit our research and publications pages to learn more about our work. You may also be interested in visitng Professor Allison's YouTube Channel and MATLAB Central Profile for videos and MATLAB code associated with teaching and research relevant to the ESDL. If you have more questions, are interested in joining the ESDL, or are considering collaboration or sponsoring our research, please contact Professor Allison. Yong Hoon Lee, Jonathon Schuh, Randy Ewoldt, and James Allison were presented with the 2017 Journal of Mechanical Design Editors' Choice Award Honorable Mention on August 28, 2018 for their recent paper “Enhancing Full-Film Lubrication Performance Via Arbitrary Surface Texture Design”. Daniel Herber ([C57], [C60]), Satya Peddada ([C58]]), and Albert Patterson ([C59]) all presented research papers at the 2018 ASME International Design Engineering Technical Conferences held in Quebec City, Canada (Aug 26-29). James Allison delivered the invited presentation 'Multi-Domain Modeling for Optimization' at the NSF POETS Workshop on Multi-Domain Modeling on August 9-10, 2018 hosted by AFRL in Dayton, OH. James Allison and Dan Herber participated in the US DOE ARPA-E workshop "Control Co-Design for Wind and Marine-hydro-kinetic Energy Systems" on July 26, 2018. James Allison delivered an invited presentation at this workshop entitled "Integrated Physical and Control System Design: A Strategy for New Performance Levels in Renewable Energy Systems". James Allison participated in the System Design Thinking workshop on July 1, 2018 held in conjunction with the 2018 Design Computing and Cognition Conference. James Allison delivered a seminar at ETH Zurich, Switzerland on June 26th on the topic of engineering design as a scientific research field. James Allison presented an overview of the NSF POETS Engineering Research Center during the POETS undergraduate research orientation on June 6, 2018. Welcome to Ian Rivera-Colon who joined the ESDL as an undergraduate researcher on May 29, 2018. His mentor is Satya Peddada, and he is participating in the NSF POETS ERC REU program. James Allison delivered a seminar at Lawrence Livermore National Laboratory (Livermore CA) on May 21, 2018. Congratulations to Gayatri Dandu who was awarded an ISE department REU scholarship for summer 2018. She will be contributing to the SASA attitude control project, including contributions to a mobile testbed for SASA attitude control systems. Welcome to Josh Pilat, Gayatri Dandu, James Wyeth, Nathan Pitchaikani, Ned Ellis, and Jacob Heglund who joined the ESDL in May 2018 as undergraduate researchers contributing to the SASA attitude control project. Congratulations to Bozun Wang who graduated with an MS in Industrial Engineering May 2018. He contributed to several ESDL efforts, including improving capabilities of lightweight additive manufacturing systems. Congratulations to Chen Zhang, an undergraduate contributor to the ESDL focusing on wind energy structures, who graduated with a BS in Civil and Environmental Engineering in May 2018. She will continue her studies as a graduate student at Stanford University in Fall 2018. Congratulations to Chendi Lin, a long-term undergraduate contributor to the ESDL, who graduated with a BS in Mechanical Engineering in May 2018. Chendi was lead author on multiple research publications, and contributed both in the areas of fluid system design and spacecraft attitude control system design. He will continue his studies as a graduate student at Carnegie Mellon University in Fall 2018, focusing on robotics. Congratulations to Junwu Zhang, a long-term undergraduate contributor to the ESDL, who graduated with a BS in Mechanical Engineering in May 2018, and who will pursue graduate studies starting Fall 2018 at Stanford University. Junwu has worked across many areas in the ESDL involving dynamic system design, and has particular interest in autonomous vehicles. Welcome to Abi Merges who joined the ESDL in April 2018 as an undergraduate researcher. Abi is pursuing a BS in Mechanical Engineering, and is contributing to the Strain-Actuated Solar Array (SASA) project for spacecraft attitude control. Welcome to Tonghui Cui who joined the ESDL as a PhD student focusing on design for resilience and active system design. Tonghui is co-advised by Prof. Allison, and his primary advisor is Prof. Pingfeng Wang. James Allison participated in the NSF Design Circles Workshop at Oregon State University on March 21-24, 2018. James Allison presented at the 2018 NSF Workshop on Research Needs in Machining and Machine Tools, focusing on the interface between engineering design and manufacturing research. James Allison visited Cornell University, hosted by Prof. Dani Selva, March 1-2, 2018. The visit was productive, but his seminar was cancelled due to a winter weather campus closure. James Allison delivered an invited seminar at Arizona State University on February 16th, 2018 on the topic "Scientific Discovery via Engineering Design Automation Experiments". Vedant, Chendi Lin, and James Allison attended the 2018 AAS Guidance and Control Conference in Breckenridge, CO (Feb 1-7) and presented several research papers. 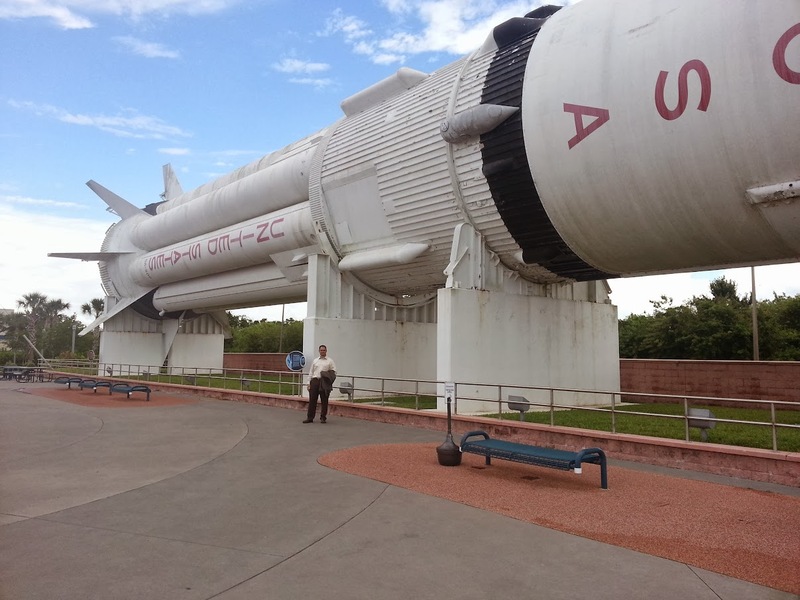 Yong Hoon Lee and James Allison attended the 2018 AIAA SciTech Conference held January 8-12, 2018 in Kissimmee, FL. ESDL papers presented include C53 (invited) and C54. James Allison has been awarded a $50,000 research grant by the Air Force Research Laboratory (NSF POETS ERC directed funds), in collaboration with Dr. Soumya Patnaik, for the project "Initial Conceptual-Level Study of Aircraft Power and Thermal System Architecture Generation and Evaluation". Congratulations to Angad Paintal who graduated with an MS in Industrial Engineering December 2018. He contributed to ESDL wind energy projects, including shape optimization of diffusers for small-scale wind turbines. Congratualtions to Madhav Arora who graduated with an MS in Industrial Engineering on December 16, 2017. His thesis was "Active Suspension Co-Design for Lateral Stability of Rail Vehicles". James Allison has been awarded a $61,020 research grant by the NSF POETS ERC Industry Advisory Board for the project "EMI Mitigation for Dense DC-AC Converters via Structured Topological Design Exploration", that is a collaborative project with Prof. Alan Mantooth at the University of Arkansas. Congratulations to Dan Herber who defended his PhD dissertation successfully on November 17, 2017 entitled "Advances in Combined Architecture, Plant, and Control Design", and graduated on December 16, 2017. Congratualtions to Shangting Li who was awarded an ISE department REU scholarship in Fall 2017 for his project on enumeration algorithms for system architectures with structured components, mentored by Dan Herber. 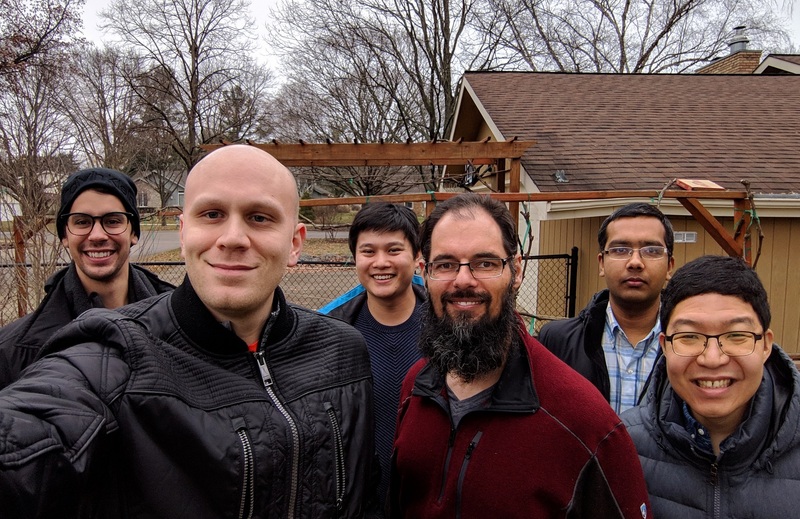 ESDL contributions to an ongoing CubeSat project and upcoming flight test of SASA attitude control technology (see J21, C55) was featured in a recent ISE news article, featuring Vedant, Yukti Kathuria, and Dan Herber. The ESDL presented several papers (C44-C52 on the publications page) at the 2017 ASME IDETC Conference, held August 6-9 in Cleveland Ohio. Presenters include: Tinghao Guo, Yong Hoon Lee, Madhav Arora, Siyao Luan, Danny Lohan, Dan Herber, Satya Peddada, and James Allison. Additional co-authors include: Anand Deshmukh, Rebecca Corman, Randy Ewoldt, Deborah Thurston, Neal Davis, Jiarui Xu, Yue Sun, and Yilin Dong. Several graduate students from the ESDL participated in the 2017 Topology Optimization and Additive Manufacturing Workshop, hosted by the ERSL at the University of Wisconsin in June 2017. Participants include: Albert Patterson, Yong Hoon Lee, Siyao Luan, and Chendi Lin. Danny Lohan and James Allison presented research papers at the 2017 World Congress on Structural and Multidisciplinary Optimization, held June 5-9 in Braunschweig, Germany. Welcome to Michael Gary who joined the ESDL in May 2017 to work in the area of computer aided design. James Allison, in collaboration with CU Aerospace, was awarded a Phase 1 NASA SBIR grant ($125,000) for the development of 'Strain-Actuated Solar Arrays', a new technology for spacecraft attitude control with possible extension to other applications requiring ultra-quiet pointing and precise motion control. Welcome to Chen Zhang who joined the ESDL in April 2017 to work in the area of wind energy system design. Madhav Arora received an honorable mention award for his research poster at the April 2017 ISE graduate student poster competition. For the 5th year in a row, ESDL group members visited Yankee Ridge Elementary School (Urbana IL) to give a hands-on demonstration of trebuchets to K-5 students as part of the Urbana School District Junior Scientist Day on April 7th, 2017. James Allison received the NSF CAREER Award for his proposal 'Integrated Design of Intelligent Structures with Tailored Distributed Damping'. It includes a $500,000, five-year grant that begins May 2017. NSF News Release. UIUC Engineering News Release 1, News Release 2. Welcome to Jialing Niu, who joined the ESDL in April 2017 to work in the area of spacecraft design and control. Congratulations to Danny Lohan who has accepted an internship at the Toyota Research Institute of North America in Ann Arbor Michigan during Summer 2017. Congratulations to Andrew Blanco who has accepted an internship at Deere & Co. during Summer 2017. Welcome to Nick Lindsey who joined the ESDL in January 2017 to work in the area of wind energy system design. James Allison presented the poster "Toward a Method for Achieving Synergy between Heuristic Rules of Thumb and Quantitative Methods in Engineering Design" at the 2017 NSF ESD/SYS Program Workshop and Grantees Meeting in Atlanta, GA held January 20-22, 2017. Welcome to Yogesh Bhandari and Angad Paintal, who joined the ESDL in January 2017 to work in the area of wind energy system design. Congratulations to Anand Deshmukh who passed his final PhD defense on December 2, 2016. His dissertation title is 'Optimization and Control of Wind Energy Systems for Grid Integration', and he has the honor of being the first ESDL PhD graduate. Welcome to Bozun Wang, who joined the ESDL in December 2016 to work in the area of design for additive manufacturing. Welcome to Yukti Kathuria who joined the ESDL in November 2016 to work in the area of spacecraft control and design. Congratulations to Danny Lohan, whose paper 'Combined Lumped and Continuum Parameter Design Optimization of Electro-Thermal Systems' was selected as a 'Paper of Distinction' by the Design Automation Committee at the 2016 ASME iDETC Conference. Anand Deshmukh and Marlon Mitchell presented the paper 'Integrating Model-Based Design and Physical Design Evaluation for Improved Design Education', Daniel Herber presented the paper 'Enumeration of Architectures With Perfect Matchings', Danny Lohan presented the paper 'Combined Lumped and Continuum Parameter Design Optimization of Electro-Thermal Systems', and Yong Hoon Lee presented the paper 'Shape Parameterization Comparison For Full-Film Lubrication Texture Design' at the 2016 ASME International Design Engineering Technical Conference in Charlotte, North Carolina, the week of August 21, 2016. Welcome to Vedant, who joined the ESDL in August 2016 to work in the area of spacecraft design, attitude control, and intelligent structures. Congratulations to Andrew Blanco who has accepted an internship at SpaceX during Fall 2016. Congratulations to Tinghao Guo who has accepted an internship at Dow AgroSciences during Fall 2016 within the research and development department, focusing on data science. Congratulations to Daniel Herber (TA for GE 312) who was recognized on the "List of Teachers Ranked as Excellent by Their Students" for Spring 2016. Welcome to Albert Patterson, who joined the ESDL in August 2016 to work in the area of design for additive manufacturing. James Allison participated in the 2016 NSF Workshop "Interdisciplinary Frontiers of Designing Engineering Materials Systems", held in College Station, Texas, July 18-19 2016. Welcome to Michael Liao, Jessica Wen, Angel Rosado, Chendi Lin, and Dongqi Su who joined the ESDL as undergraduate researchers in Summer 2016. A team of investigators, including James Allison, has been awarded a $200,000 grant from NASA to develop a CubeSat that will be launched into low-earth orbit. 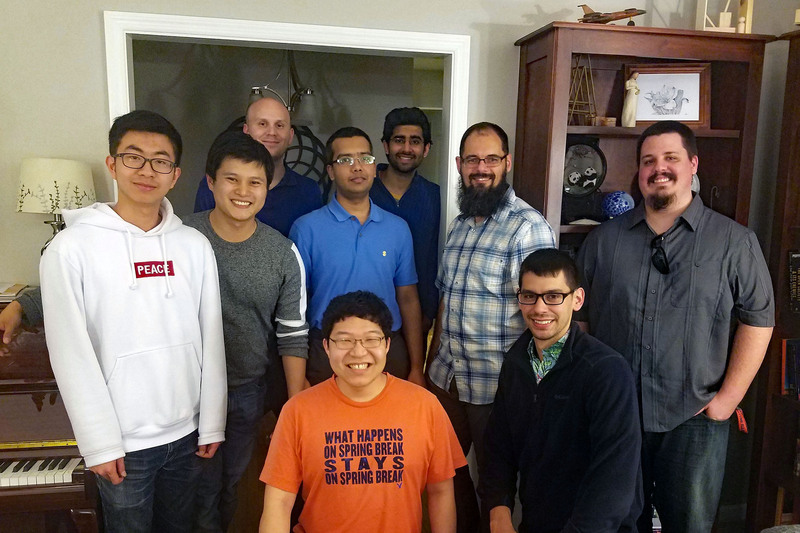 Several Co-PIs will work primarily with undergraduate students to design, fabricate, and qualify the "Cooling, Annealing, and Pointing Satellite" (CAPSat). Christian Chilan made significant contributions to the proposal. James Allison delivered the presentation "Moving Toward System Optimality: Integrated Design Methods" at the POETS ERC Annual Meeting on May 4, 2016. Danny Lohan and Satya Ravi Teja Peddada gave the presentation "Integrated System Optimization Methods for Electro-thermal Power Systems" at the POETS ERC Annual Meeting on May 3, 2016. James Allison was awarded the Engineering Council Outstanding Advising Award on April 25th, 2016 by the UIUC College of Engineering. 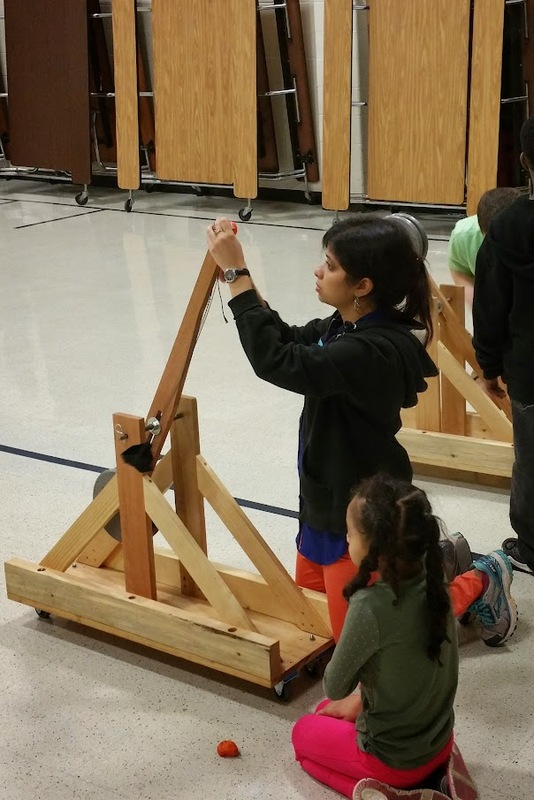 For the 4th year in a row, ESDL visited Yankee Ridge Elementary School (Urbana IL) to give a hands-on demonstration of trebuchets to K-5 students as part of the Urbana School District Junior Scientist Day on April 8th, 2016. Congratulations to Tinghao Guo (TA for IE 300), Jason McDonald (TA for IE 311), and Andrew Blanco (TA for ME 360) who were recognized on the "List of Teachers Ranked as Excellent by Their Students" for Fall 2015. Design Oriented Trebuchet Model with SimMechanics by James Allison, Anand Deshmukh, and Daniel Herber was selected as a MATLAB Central Pick of the Week. Welcome to Zichen Liang who joined the ESDL as an undergraduate researcher in Spring 2016. Welcome to Satya Ravi Teja Peddada who joined the ESDL as a graduate student researcher in Spring 2016. James Allison presented the poster "Generating Design Knowledge Through Systematic Investigation of Interacting Physical Phenomena" at the 2015 NSF Design Circles Workshop (NSF Sponsored Engineering Design and Systems Engineering Foundations Workshop) in Clemson, SC held November 14-17, 2015. A corresponding video can be viewed here. On October 14, 2015 Dan Herber and Danny Lohan presented posters at the POETS Kickoff Event. 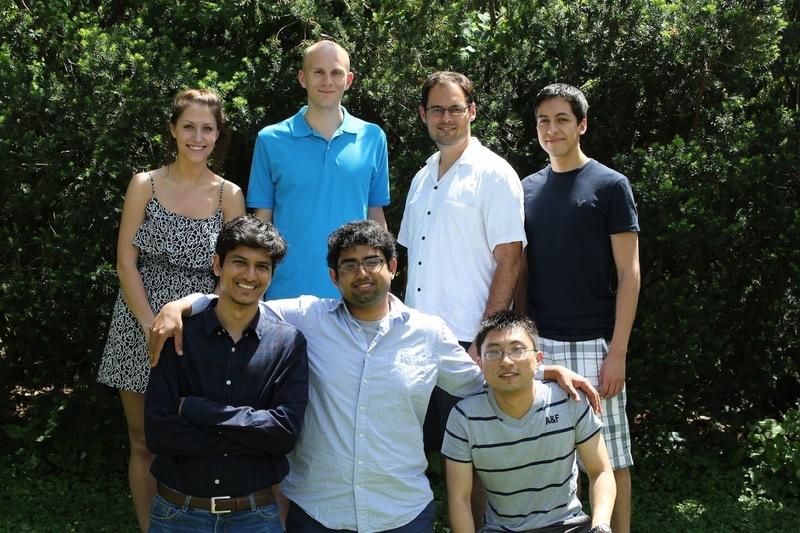 Welcome to Madhav Arora and Andrew Blanco who joined the ESDL as graduate students in Fall 2015. Welcome to Catherine Nguyen, Yilin Dong, Jiarui Xu, and Junwu Zhang who joined the ESDL as undergraduate researchers in Fall 2015. James Allison and a group of other faculty members, led by Andrew Alleyne, have been awarded $18.5 million by the NSF for the new Engineering Research Center: "Center for Power Optimization of Electro-Thermal Systems", or POETS. Yong Hoon Lee presented the papers Generalized Viscoelastic Material Design With Integro-differential Equations and Direct Optimal Control (August 3) and On Using Adaptive Surrogate Modeling in Design For Efficient Fluid Power (August 5) at the ASME 2015 International Design Engineering Technical Conferences in Boston, MA. Daniel Herber presented the paper Bridging the Gap between Open-Loop and Closed-Loop Control in Co-Design: A Framework for Complete Optimal Plant and Control Architecture Design on July 7th, 2015 at the 2015 American Control Conference in Chicago, IL. Congratulations to Tinghao Guo who accepted an internship for summer 2015 at Lifetouch in Eden Prairie, MN. Congratulations to Lakshmi Rao who graduated with an MS in Industrial Engineering on May 17th, 2015, and who also completed a graduate certificate in Computational Science and Engineering. On May 7, 2015 Jason McDonald, Dan Herber, Oscar Alvarez-Salazar (JPL), and James Allison received the 2014 JPL Research Poster Conference Award for their poster “Strain Actuation & Sensing of SC Structures for Payload Jitter Suppression and Momentum Dumping” presented in November 2014. Congratulations to Jason McDonald for 2015 ISE Service Award and Nick Balko for 2015 Robert Jewett Award for demonstrating outstanding leadership qualities. James Allison has been awarded a $60,000 unrestricted research gift from Proctor and Gamble for work related to generative design in topology optimization. Congratulations to Lakshmi Rao who has accepted a position at Goldman Sachs. She will be working with the Technology Division on data modeling and analysis, and will start summer 2015. Anand Deshmukh presented the poster "Advancing Undergraduate Design Learning Through Extensive Use of Hands-On Model-Based Design Projects" at the UIUC College of Engineering Celebration of Teaching on April 24, 2015. Congratulations to Lakshmi Rao who defended successfully her MS thesis entitled "Design and Optimization of Computationally Expensive Engineering Systems" on April 20, 2015. Congratulations to Daniel Herber who was selected as a 2015-2016 Mavis Future Faculty Fellow. Congratulations to Anand Deshmukh who has accepted an internship at Bosch Research Center of North America for summer 2015 that will involve developing optimal control algorithms for management of renewable energy resources such as solar PV and battery storage in smart grid paradigm. Congratulations to Adam Cornell (TA for GE 410) who was recognized on the "List of Teachers Ranked as Excellent by Their Students" for Fall 2014. Welcome to Dr. Christian Chilan who joined the ESDL in March 2015 as a postdoctoral research fellow. Dr. Chilan holds a Ph.D. in Aerospace Engineering from UIUC, and is focusing on integrated structural and control system design for spacecraft. James Allison has been awarded a $25,000 grant from the Toyota Research Institute of North America for the project “Development of Optimization Tools for Integrated Electro-Thermal Power System Design”. James Allison presented the invited lecture “Integrated Physical and Control System Design for Horizontal Axis Wind Turbines” at the 3rd NREL Wind Energy Systems Engineering Workshop on January 15th, 2015 in Boulder, CO.
Anand Deshmukh presented the poster “Integrated Physical and Control System Design Methods for Wind Turbines” at the 3rd NREL Wind Energy Systems Engineering Workshop on January 14th, 2015 in Boulder, CO. Welcome to Marlon Mitchell who joined the ESDL in December 2014, focusing on engineering education research projects. Marlon is a Ph.D. student in Curriculum and Instruction in the UIUC School of Education. Congratulations to Danny Lohan who has accepted an internship at the Toyota Research Institute of North America for summer 2015 that will involve the design optimization of novel thermal management systems for power electronics. Congratulations to Dan Herber who has accepted an internship at Deere & Co. for summer 2015 that will involve the modeling, simulation, and design of hybrid powertrains. A senior design project group advised by James Allison was presented with the Lincoln Arc Welding Foundation Gold Award, the highest award for this national design competition. This award was announced in November 2014 for their project “Oscillating Mount Analysis” completed in May 2014. Jason McDonald and James Allison presented the poster “Strain Actuation & Sensing of SC Structures for Payload Jitter Suppression and Momentum Dumping” at the Jet Propulsion Laboratory (JPL) Research and Development poster session on November 12th 2014 in Pasadena, CA. Congratulations to Geoffrey Tang and Nick Balko who have each been awarded a $1,000 ISE Research Experience for Undergraduates Scholarship for the 2014-2015 academic year. Geoffrey is conducting research in generative design algorithms and climbing hold manufacturing, and Nick is conducting research on electric motor characterization, testing, and control. James Allison has been awarded a $400,000 grant from the Jet Propulsion Laboratory/NASA for the project "Strain Actuated Solar Array for SC Attitude & Instrument Jitter Control" ($200,000 for UIUC). James Allison, Tinghao Guo, and Adam Cornell delivered a seminar at the Institute for Genomic Biology entitled 'Engineering Design and Synthetic Biology' on October 6, 2014. Welcome to Nick Balko, Daniel Chesser, Zach Halasz, Chaoran Wang, Chenzheng Xiao, Xueting (Sophia) Yan, Geoffrey Tang, and Yijun (James) Zhang who joined the ESDL as undergraduate researchers in Fall 2014. Congratulations to Danny Lohan and Adam Cornell who made the transition from ESDL undergraduate researchers to graduate students in Fall 2014. Ashish Khetan presented the paper “Large-Scale Topology Optimization Using Parameterized Boolean Networks” on August 20th, 2014 at the 2015 ASME Design Engineering Technical Conference in Buffalo, NY. Jeff Arena presented the paper “Solving the Reconfigurable Design Problem for Multiability with Application to Robotic Systems” on August 20th, 2014 at the 2015 ASME Design Engineering Technical Conference in Buffalo, NY. James Allison presented the lightning talk “Understanding DAC Through its Literature” during the keynote session of the 40th ASME Design Automation Conference on August 19th, 2014. Link to presentation video. Dan Herber presented the paper “Reducing Spacecraft Jitter During Satellite Reorientation Maneuvers via Solar Array Dynamics” on June 20th, 2014 at the 2014 AIAA/ISSMO Multidisciplinary Analysis and Optimization Conference in Atlanta, GA.
Congratulations to ESDL undergraduate researchers Avery Bellis, Johnny Ho, Sarah Ng, and Michael Sim who were each awarded $1,000 scholarships through the ISE Department Research Experience for Undergraduates (REU) program. These scholarships are for work done during summer 2014, and were awarded as part of the inaugural phase of the ISE REU program. Congratulations to Jason McDonald who will be working at the Jet Propulsion Laboratory (JPL) in Pasadena CA as an intern during summer 2014. He will be working in the area of Guidance, Navigation, and Control. 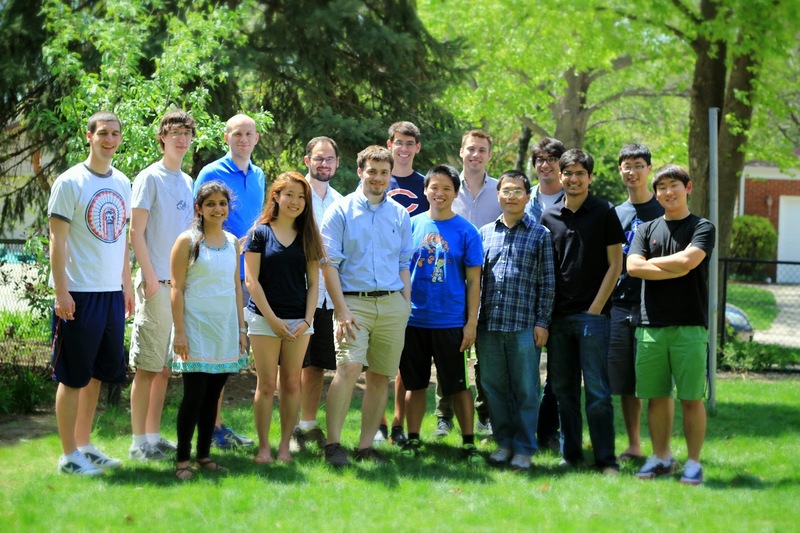 Welcome to Avery Bellis, Michael Bodtke, Mingxu Han, Johnny Ho, Dhruv Kanwal, Kevin Lohan, Nick Nordeen, Sarah Ng, Michael Sim, Insuck Suh, Arin Tsikretsis, and Jenny Woo, who joined the ESDL during summer 2014 as undergraduate researchers. Congratulations to Lakshmi Rao who will be working as an intern at AB InBev in Champaign, IL. She will be working in the area of shelf layout design optimization. James Allison delivered an invited lecture entitled “Rethinking MDO for Dynamic Engineering System Design” at the 2014 SIAM Conference on Optimization on May 19, 2014 in San Diego CA. Congratulations to Jeff Arena and Dan Herber who graduated with their M.S. 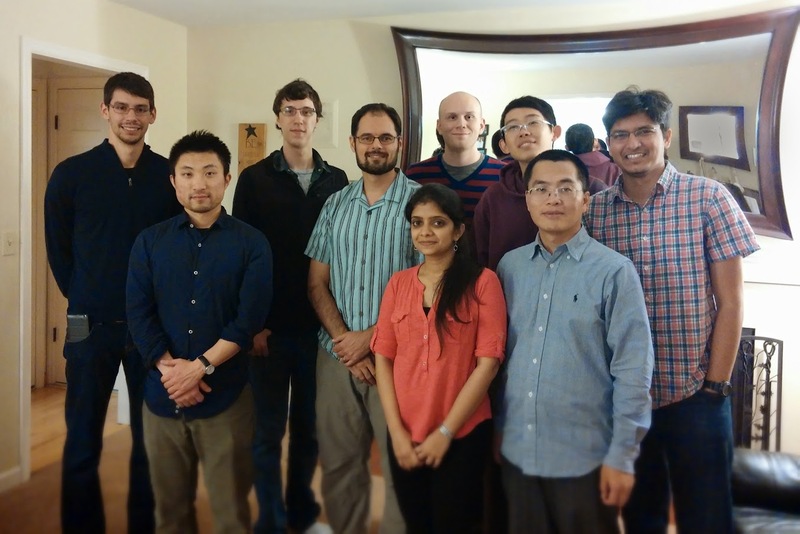 in Systems and Entrepreneurial Engineering and Tinghao Guo and Ashish Khetan who graduated with their M.S. in Industrial Engineering on 5/18/14. Anand Deshmukh made an extended visit in May 2014 to the National Renewable Energy Laboratory, National Wind Technology Center. In addition to collaborating with NREL engineers, he delivered a seminar talk on May 16th 2014 entitled “Co-Design of Wind Turbines and Beyond”. Danny Lohan and Xin Niu presented posters at the 2014 UIUC Undergraduate Research Symposium on April 17, 2014. Danny presented posters on his work involving the development of an active suspension testbed, and Xin presented his work involving modeling and simulation of a linear generator for ocean wave energy. 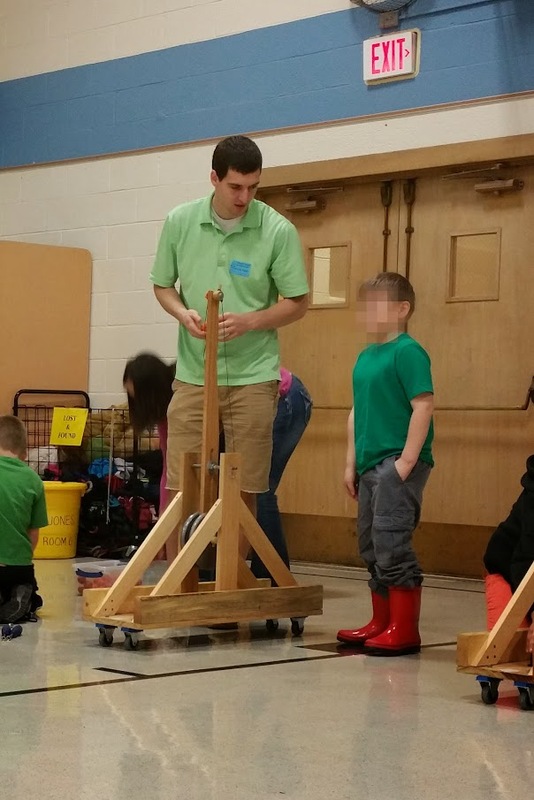 The ESDL visited Yankee Ridge Elementary School (Urbana IL) to give a hands-on demonstration of trebuchets to kindergarten, first, and third grade students as part of the Urbana School District Junior Scientist Day on April 10th, 2014. Thanks to Danny Lohan who organized the event, and to the many ESDL members who participated. James Allison was awarded the grant "Strain Actuation & Sensing of SC Structures for Payload Jitter Suppression and Momentum Dumping" from the Jet Propulsion Laboratory in the amount of $30,000 ($18,000 for UIUC). James Allison gave a seminar at the National Renewable Energy Lab, National Wind Technology Center entitled “Toward Integrated Design Methods for Active Dynamic Systems” on March 31, 2014 in Louisville CO.
James Allison was awarded a second year of funding from the GATE program for the 2014-2015 academic year to support the project “Advancing Undergraduate Design Learning Through Extensive Use of Hands-On Model-Based Design Projects”. James Allison was awarded the grant "Advancing Undergraduate Design Learning Through Extensive Use of Hands-On Model-Based Design Projects (Phase 2)" by the UIUC Grants for the Advancement of Teaching Engineering in the amount of $18,000. 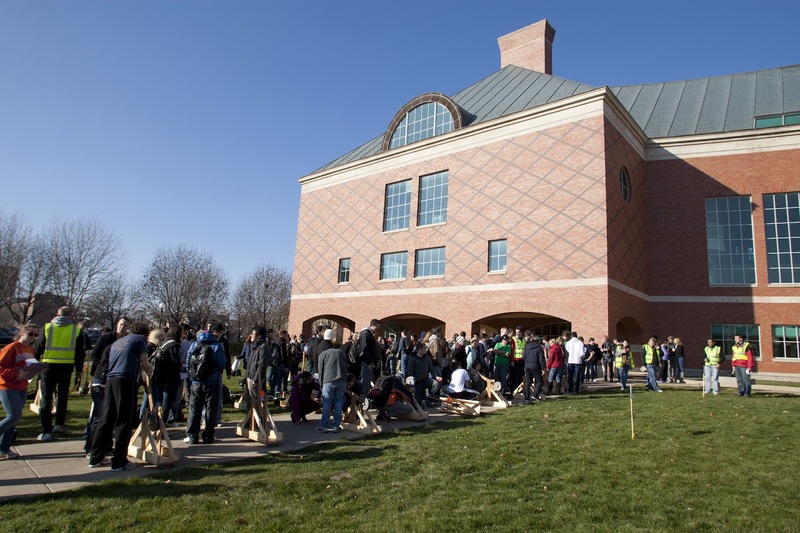 The ESDL conducted a trebuchet demonstration at the 2014 UIUC Engineering Open House, a large event that is an opportunity for the public to learn about the vast spectrum of work going on at the UIUC College of Engineering. 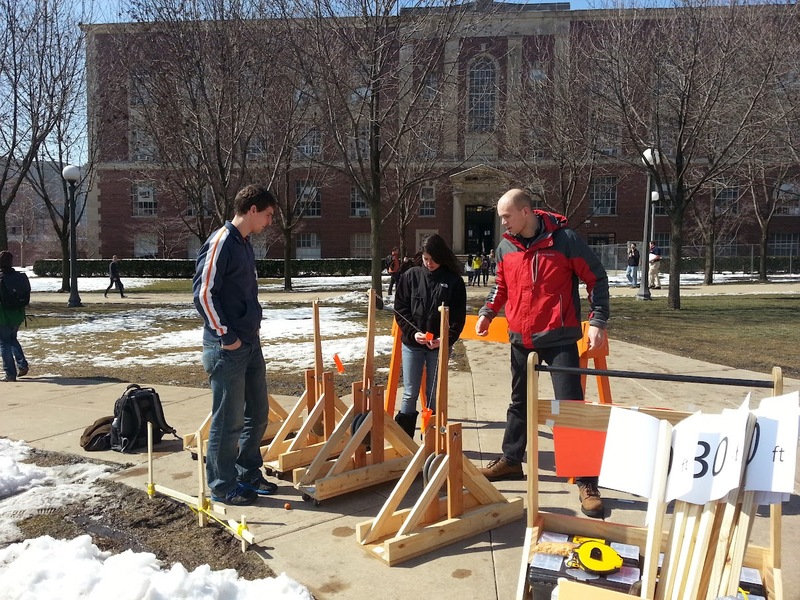 The trebuchet demonstration was organized by Jason McDonald, and many ESDL members contributed. Randy Ewoldt (PI) and James Allison (Co-PI) were awarded a $190,000 grant for their two-year project “Rheological Design for Efficient Fluid Power” from the National Science Foundation Center for Compact and Efficient Fluid Power. James Allison was awarded the grant "Rheological Design for Efficient Fluid Power" from NSF in the amount of $208,250. He is Co-PI, and the award is through the Center for Compact and Efficient Fluid Power. James Allison and a small group of other faculty members were awarded $164,735 for "ISE Instructional Laboratory Funding" through the UIUC College of Engineering for educational laboratory equipment. Congratulations to Jason McDonald, Lakshmi Rao, and James Allison, who both were recognized on the "List of Teachers Ranked as Excellent by Their Students" for Fall 2013 (GE 320 - Jason McDonald, IE 300 - Lakshmi Rao, GE 410 - James Allison). James Allison was awarded the grant “Illinois Biological Foundry for Advanced Biomanufacturing (iBioFAB)” as a Co-PI for $264,612 from DARPA. This is a phase one award for a DARPA research center. Congratulations to Jeff Arena who accepted a position at MIT Lincoln Laboratory that will begin after his anticipated graduation in May 2014. Welcome to Varun Berry, Gabby Chuchro, Jingzhe (Andrew) Cui, Anthony Lin, and Raghu Vadali, who joined the ESDL as undergraduate researchers during Spring Semester 2014. Congratulations to Allen Kaitharath who accepted a position at Belcan Engineering. Congratulations to Allen Kaitharath who graduated with his M.S. 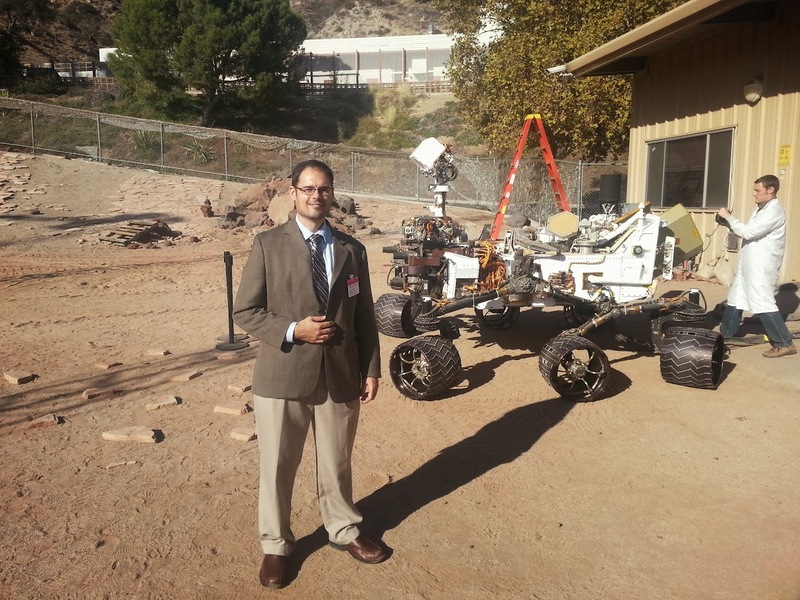 in Aerospace Engineering and Adam Cornell who graduated with his B.S. in General Engineering on 12/21/13. James Allison presented a poster "Design Principles for Autonomous Engineering Systems" at the WSRI AHEAD Conference in Dayton OH in December 2013. Welcome to Yefei Li who joined the ESDL as a visiting scholar in December 2013. James Allison presented a seminar talk at the UIUC Mechanical Engineering Bio-Interest seminar series on November 18, 2013. James Allison presented the seminar talk "Toward Integrated Design Methods for Active Dynamic Systems" at both the Jet Propulsion Laboratory (JPL) and the University of Southern California on November 5th and 6th, 2013, respectively. James Allison was awarded a $100,000 grant from Deere and Company for the second phase (2014) of the project "Development of Generative Algorithm-Based Strategies for System Architecture Design Optimization with Large-Scale Capabilities". James Allison is now a faculty affiliate of both the UIUC Institute for Genomic Biology (Biosystems Design), and the UIUC Computational Science and Engineering Program. Welcome to Jason McDonald and Lakshmi Rao who joined the ESDL as graduate student researchers and Adam Cornell and Tuganai Borina who joined the ESDL as a undergraduate student researchers in August 2013. Dan Herber presented the paper 'Wave Energy Extraction Maximization in Irregular Ocean Waves using Pseudospectral Methods', Anand Deshmukh presented the paper 'Design of Nonlinear Dynamic Systems using Surrogate Models of Derivative Functions', and Randy Ewoldt presented the paper 'Early-Stage Design of Rheologically Complex Materials via Material Function Design Targets' at the 2013 ASME Design Engineering Technical Conference in Portland, Oregon the week of August 5th 2013. Dan Herber and James Allison authored the paper 'Wave Energy Extraction Maximization in Irregular Ocean Waves using Pseudospectral Methods' that was selected as a finalist for the 2013 ASME Design Automation Conference Best Paper Award. James Allison was named the 2013 ASME Design Automation Young Investigator Award winner and received the award at the 2013 ASME Design Engineering Technical Conference in Portland, Oregon on August 6th 2013. 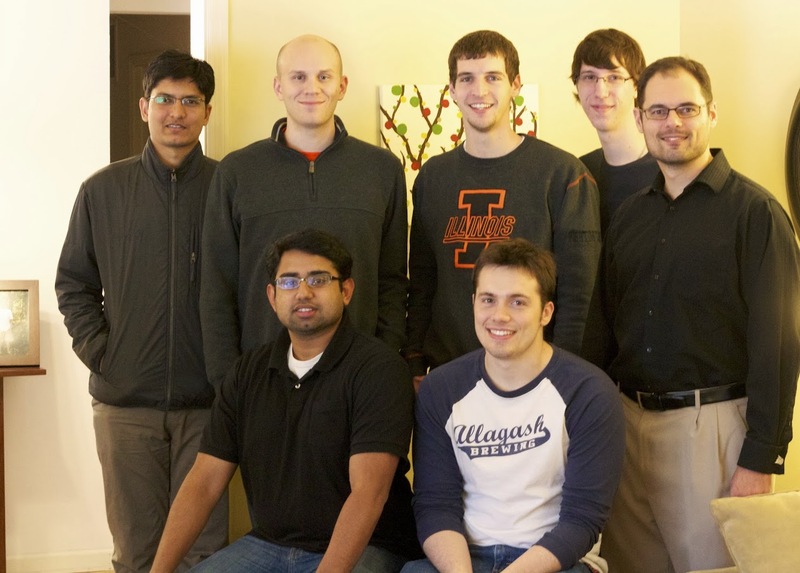 A team of nine PIs, including James Allison, was awarded a $50,000 grant through the UIUC College of Engineering Strategic Instructional Initiatives Program (SIIP), for the project "Linking and Integration of Civil and Engineering Systems Design Courses". Tinghao Guo presented the paper 'On the Use of MPCCs in Combined Topological and Parametric Design of Genetic Regulatory Circuits. ', and James Allison presented the papers 'Managing Variable-Dimension Structural Optimization Problems using Generative Algorithms' and 'Multiple-Objective Topology Optimization of Multi-Component Continuum Structures via an Explicit Level-Set Approach' (on behalf of Karim Hamza) at the 10th World Congress on Structural and Multidisciplinary Optimization in Orlando, Florida the week of May 20th 2013. Tinghao Guo, Dan Herber, and Xin Niu accepted internships at Deere and Co. for summer 2013 in Champaign, IL. Congratulations to Anand Deshmukh who was awarded the University of Illinois Clean Energy Education Fellowship for his work in wind energy co-design in April 2013. Congratualtions to Anand Deshmukh who successfully defended his MS thesis: "Multidisciplinary Design Optimization of Dynamic Dystems Using Surrogate Modeling" on April 29, 2013. 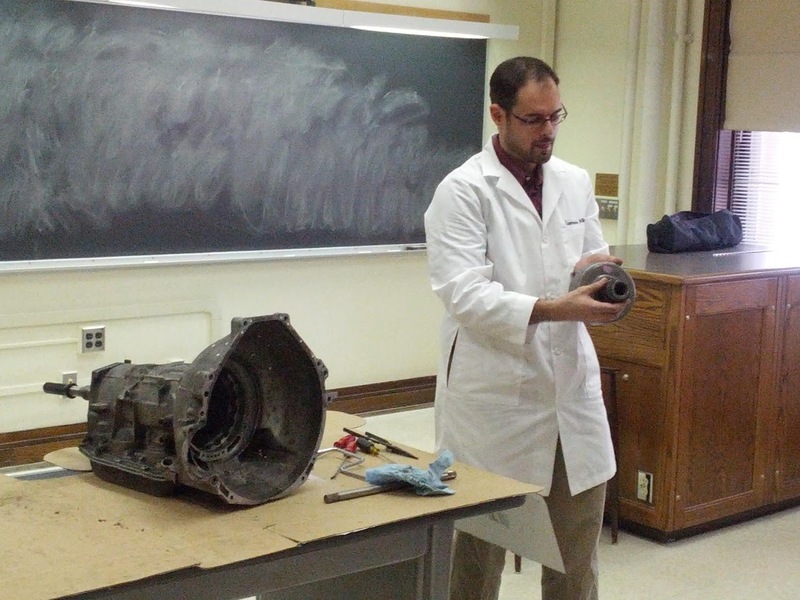 James Allison was featured in a UIUC College of Engineering Article highlighting his 'transmission surgery' demonstration, where GE 410 students get to observe the complete disassembly of an automatic transmission and learn about its operation and design. James Allison delivered an invited presentation 'Toward Integrated Design Methods for Mechatronic Systems' at Draper Laboratory in Cambridge, MA on April 12th 2013. Dan Herber, Anand Deshmukh, Jeff Arena, Allen Kaitharath, and Danny Lohan conducted an activity at the Urbana Yankee Ridge Elementary School's Junior Scientist Day where students design and launched trebuchets, and learned about the physics and design of trebuchets. James Allison presented the papers 'Multidisciplinary Design Optimization of Dynamic Engineering Systems' and 'Simultaneous Structural and Control System Design for Horizontal Axis Wind Turbines' at the 9th AIAA Multidisciplinary Design Optimization Specialist Conference in Boston, MA on April 8th 2013. Ethan Garner accepted an internship at Deere and Co. in Moline IL. Dan Herber was awarded an Honorable Mention for his NSF Graduate Research Fellowship proposal. 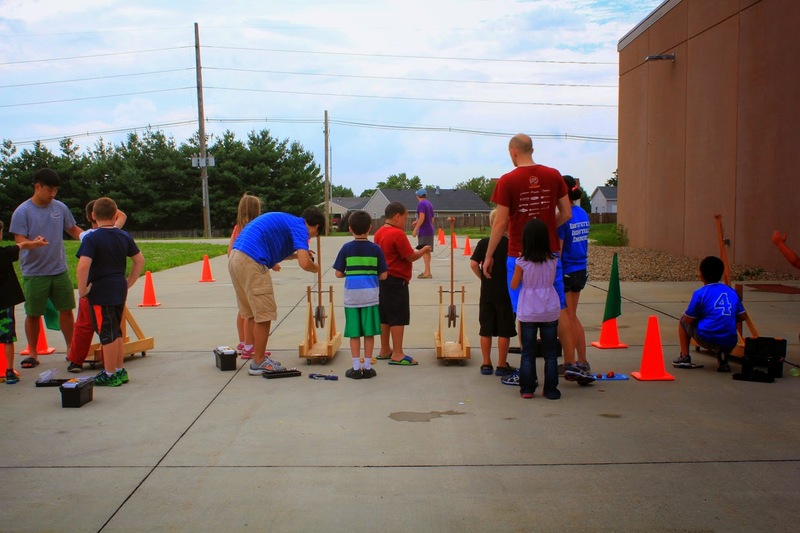 The ESDL organized and conducted an activity for Illinois Engineering Open House where particpants learned about the physics and design of trebuchets. 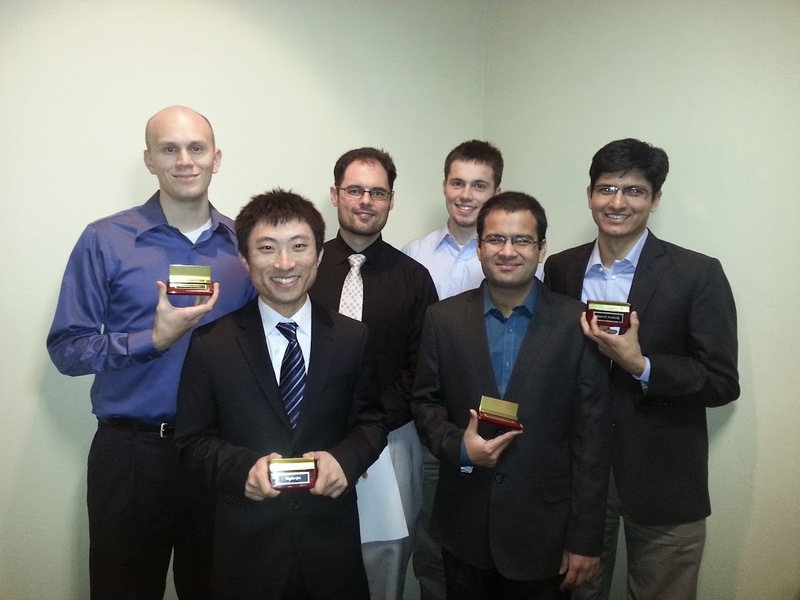 Welcome to Ethan Garner and Yashu Madhavan who joined the ESDL in March 2013. Dan Herber was featured in a video showcasing internship opportunities at the UIUC Research Park. James Allison was awarded a $40,000 grant from MathWorks, Inc. for the curriculum development project "Advancing Undergraduate Design Learning Through Extensive Use of Hands-On Model-Based Design Projects". A team of ten PIs at UIUC, including James Allison, were awarded a $2,000,000 grant from the Roy J. Carver Charitable Trust for "A Proposal to Establish a New IGB Research Theme in Synthetic Biology." Welcome to Chen Ge who joined the ESDL in January 2012 as an undergraduate researcher. James Allison was awarded a $100,000 grant from Deere and Company for the project "Development of Generative Algorithm-Based Strategies for System Architecture Design Optimization with Large-Scale Capabilities". ESDL research in integrated physical and control system design, as well as optimal redesign of mechatronic systems, was featured in the 2012 AIAA Year in Review. James Allison delivered the keynote lecture at the 2012 Deere & Co. Model-Based Systems Design and Systems Engineering Conference on November 29th in Moline IL. 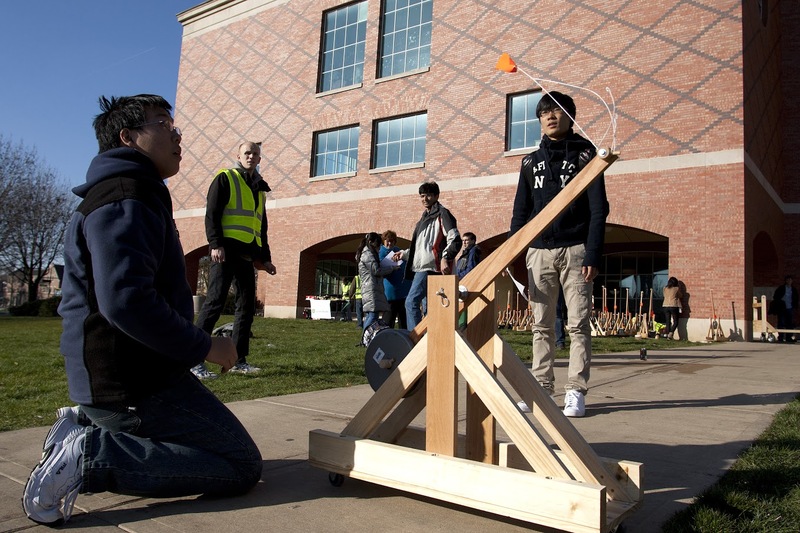 The GE 100 Trebuchet Competition was featured in this UIUC news brief and this WCIA news report (video). This competition, involving approximately 150 freshman engineering students, was part of a new class project developed by James Allison and many other members of the ESDL. James Allison has been appointed to the scientific committee forthe ICED13 Conference and the Scientific Advisory Committee of the World Congress of Structural and Multidisciplinary Optimization. Dan Herber presented the paper 'Wave Energy Extraction Maximization Using Direct Transcription' at the 2012 ASME International Mechanical Engineering Congress & Exposition in Houston Texas on November 14th 2012. Welcome to Jeff Arena, Dan Herber, Ashish Khetan, and Venkatesh Loganathan who joined the ESDL as graduate student researchers this fall. Congratulations to Dan Herber who was presented with the 'Most Valuable Tech Innovation in the Research Park' award on August 2nd 2012. Dan was selected from among all student interns working at UIUC research park. He developed a significant computational simulation for Deere & Co. Anand Deshmukh and Tinghao Guo also contributed to the project. Welcome to Xin Niu who joined the ESDL in May 2012 as an undergraduate researcher. Congratulations to Allen Kaitharath who graduated with his B.S. in General Engineering on 5/13/12. 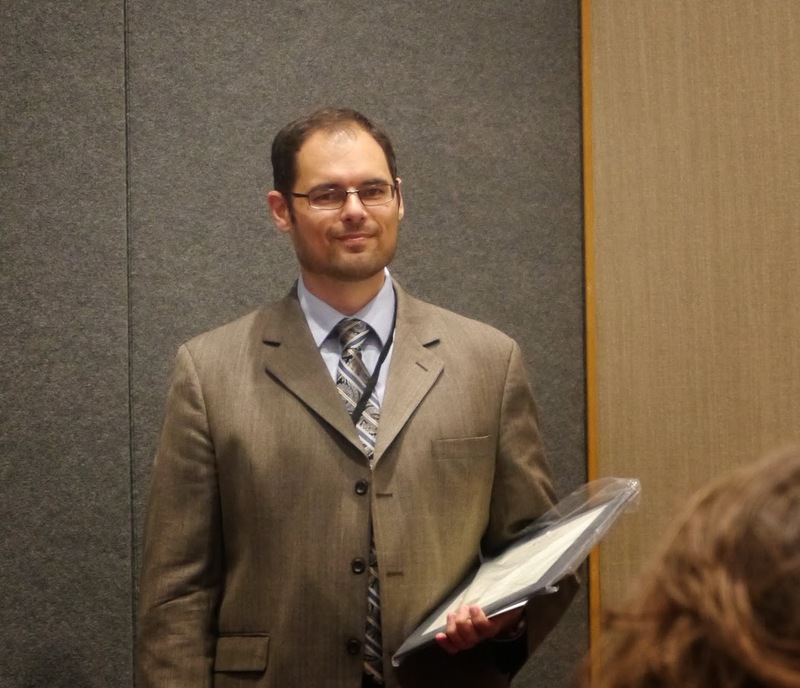 James Allison was awarded the Engineering Council Award for Excellence in Advising (April 2012). James Allison presented the paper 'Engineering System Co-Design with Limited Plant Redesign' at the 8th AIAA Multidisciplinary Design Optimization Specialist Conference on April 24th 2012. Welcome to Danny Lohan who joined the ESDL as an undergraduate student researcher spring 2012. Welcome to Mike Guevara who joined the ESDL in January 2012 as an undergraduate researcher. Congratulations to Dan Herber who graduated with his B.S. in General Engineering on 12/17/11. A new special topics course (GE 598 - Dynamic System Modeling and Design) will be offered Spring 2012. It will address the interfaces between modeling, simulation, control, design, and optimization aspects of dynamic system design. 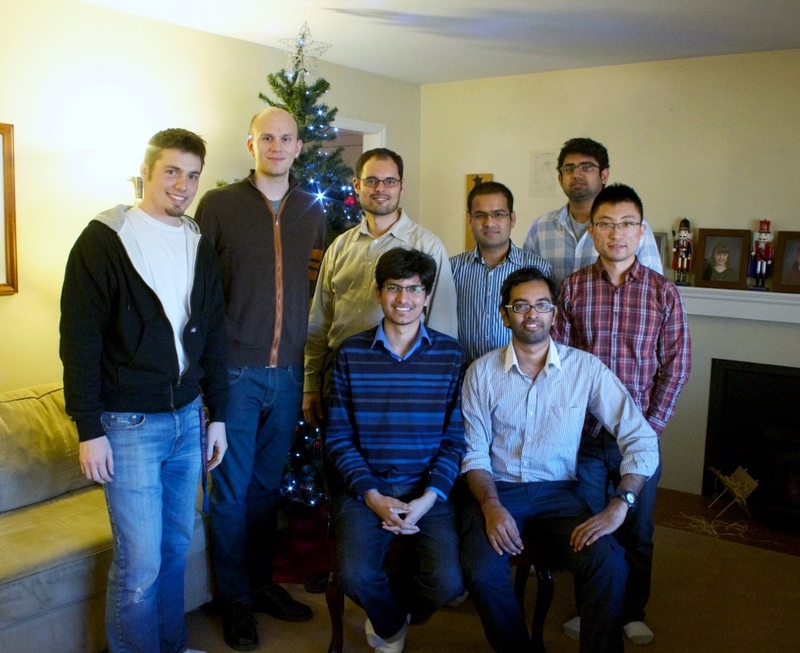 Welcome to Dan Herber and Allen Kaitharath who joined the ESDL in October 2011 as undergraduate researchers. James Allison presented the paper 'Co-Design of an Active Suspension Using Simultaneous Dynamic Optimization' at the 2011 ASME Design Engineering Technical Conference on August 31st 2011.